HEA is a member-based 501(c)(3) non-profit organization. 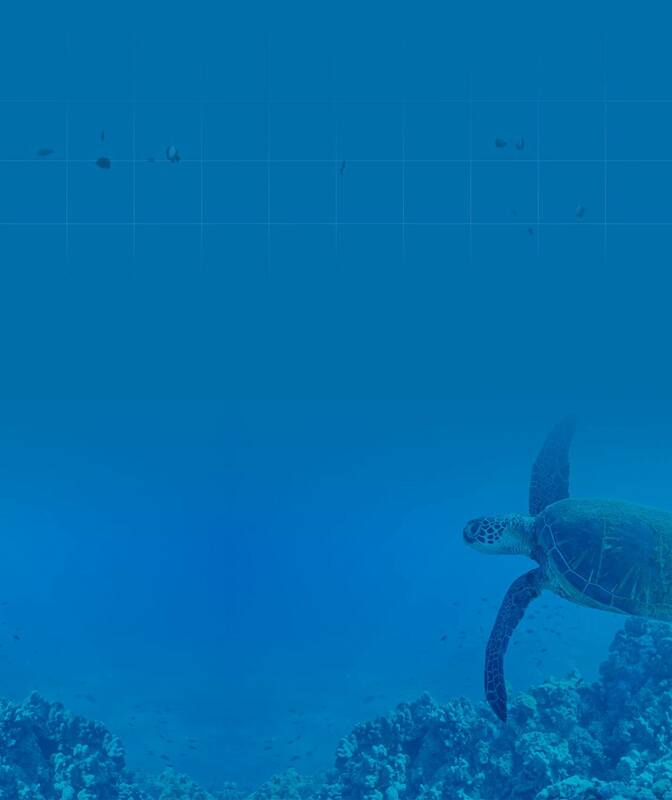 Our mission is to protect Hawaii’s unique, natural environment and host culture through the promotion of responsible travel and educational programs, relating to sustainable tourism for residents, businesses and visitors. 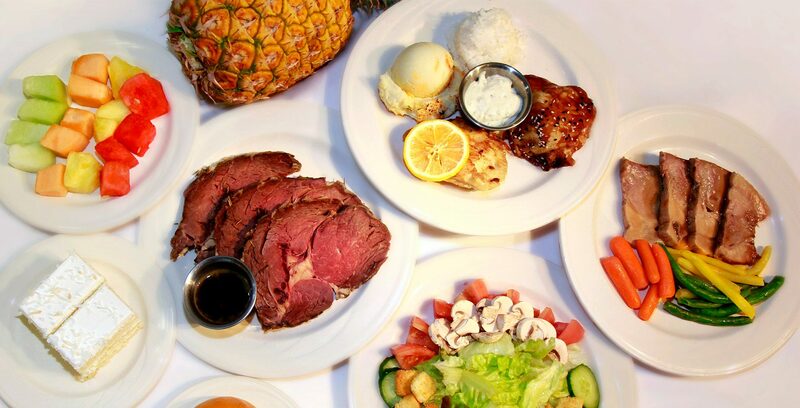 “Pono” means to do right. 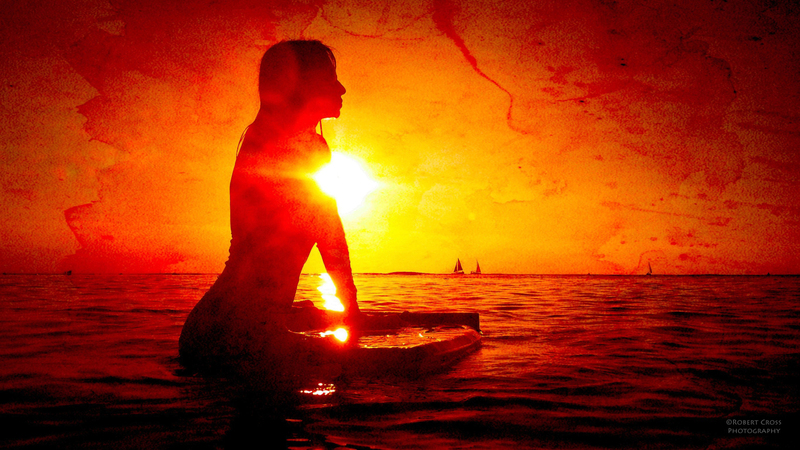 We can take this even further to mean that “to be pono” is to be in perfect alignment and balance with all things in life. Our Pono Traveler program is to setup to help Hawaii Ecotourism Association managers and our certified operators gain feedback to improve their operations to be more sustainable. Learn about this program and join now. Sustainable Tourism is defined by the United Nations World Tourism Organization as Tourism that takes full account of its current and future economic, social and environmental impacts, addressing the needs of visitors, the industry, the environment and host communities. 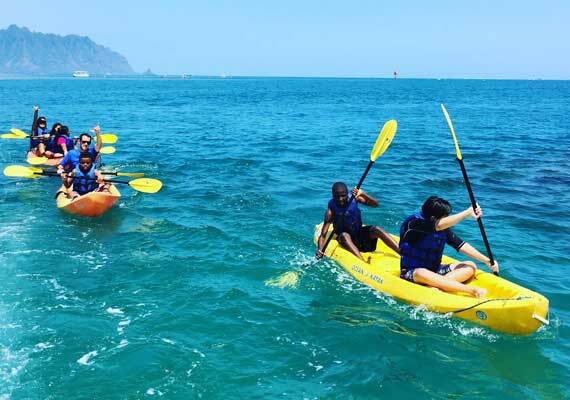 The Hawaii Tourism Authority defines it as a way to maximize social and economic benefits to Hawaii’s communities and businesses while respecting, nourishing, preserving and enhancing Hawaii’s natural, cultural and human assets. We incorporate the spirit of both definitions into our certification program. 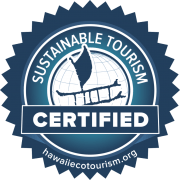 Hawaii Ecotourism Association provides an independent verification system to distinguish industry leaders in sustainable tourism. 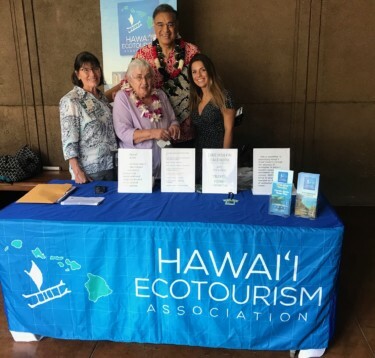 The principle: Operator supports the Hawaii Ecotourism Association’s mission and has shown that commitment through membership in the organization. Does not advertise HEA membership on website or in other marketing materials in such a way as to confuse potential customers about their current certification status (i.e., membership does not equate to certification and this should be clear to guests). products/services, and commits to abide by all necessary permit conditions. The principle: Operation has a written Sustainability Commitment Statement that guides its operations and demonstrates commitment to HEA Sustainable Tourism principles. Is adopted by the operation’s senior management and is subject to periodic review. Is publicly displayed on the company website. Provides a link to the certification overview page on HEA’s website. Primarily engage in guided tours and/or activities. Have guests engage in experiences with nature and/or culture. Educate guests about respectful interaction with nature and/or culture. must be accurate and able to be referenced. Educate guest about the nature and/or culture they will experience while on tour. Be able to provide citations or references regarding the interpretation provided to guests. Provide accurate and continued training for guides and make reference material accessible. The operation will not promote any images, activities, etc., that disrespect nature and/or culture or are not accurate. Images will not be digitally manipulated or enhanced to promote unrealistic or inappropriate experiences or expectations by guests relative to nature and culture (e.g., wildlife interactions, species encountered, cultural imagery, etc.). The principle: The company has system to continuously monitor and analyze its operations and act upon the feedback provided by both guests and employees. Seek and respond to guest feedback. Seek and respond to employee feedback without repercussion. Conduct both formal (i.e., guest questionnaire) and informal (i.e., guest comments, TripAdvisor, etc.) evaluations. The principle: Operation contributes to conservation outcomes annually. Provide evidence of at least two hands-on, in-kind, and/or financial contributions to statewide and/or local community-based environmental conservation outcomes over the previous 12 months. Invasive species management under a sanctioned program. Natural area restoration under a sanctioned program. management of private and/or public natural protected area(s). Annual contributions to local environmental conservation organizations, e.g. protecting rare and endangered species, etc. The principle: Operation makes ongoing, positive contributions to the community annually. Supporting local community development groups, schools, events and activities with program discounts, in-kind, funding, or volunteer time. Keeping the majority of operation’s profits within the state. Working with associations or groups to improve and contribute to the welfare of local community. Providing resources, training, financial assistance or in-kind support to residents for workforce development so that they can work for the operation and/or improve their chances of gaining more highly skilled work. Providing resources, training, financial assistance or in-kind support to residents to research and/or monitor environmental impacts in areas of client visitation and/or implement conservation practices locally. their activities do not degrade the environment. Note: Sustainable practices should be employed at the operation’s storefront, headquarters and/or base of operations and during each tour. However, the operation may not own the building or other square footage that contains the operation’s storefront, headquarters and/or storage facility. In these cases, check Not Applicable and explain. Pictures or evidence should be provided to demonstrate other qualifying. External illumination system(s) does not alter the natural environment or change wild animal behavior, and is limited to that necessary for orientation, security and safety. Pathways corridors and external areas are illuminated by lights governed with motion sensors. Lights are not pointing above the horizontal. Guests are provided with portable lights to avoid fixed outdoor lighting. Use and propagation of invasive species is avoided. 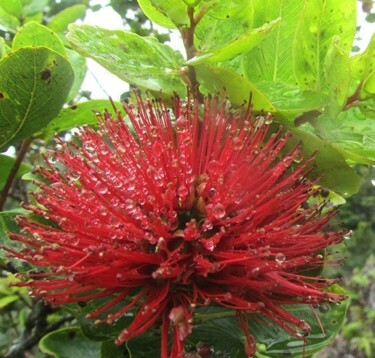 Native and Polynesian introduced plants are to be left undisturbed and/or incorporated into the landscape. Landscaping is maintained through the use of organic methods. Integrated Pest Control Management system is used instead of standard chemical pesticides. Rainwater catchment system utilized for irrigation. The principle: Water consumption is minimized and the water accessed/used is protected. Landscaping with native plants and xeriscaping consistent with the location and climate of the area, to minimize water use. Appropriate use of rainwater and reuse of grey water. Use of dual and/or low flush, composting toilets, and/or waterless urinals. Use of water-efficient appliances (e.g. ; dish-washers, laundry washing machines, faucets, etc.) and flow restrictors, aerators, and/or automatic turn-off taps. Signage to remind staff and guests about best water management practices. Wastewater is captured or filtered before being discharged to the environment. Care is taken to avoid polluting surface water by not swimming in pools or small streams. Provide alternate protection from the sun and insects on tours entering a water source (i.e., providing sun shirts or citronella insect repellant). Provide guests with suggestions about alternate sun and insect protection prior to tour (i.e. FAQ section of website, suggestions on brochures, etc.). Educate guests about proper usage of sun protection for tours entering a water source (i.e., apply at least 5 minutes before entering, use waterproof sunscreen only, etc.). Any overnight camps/toilet use is set a minimum distance (see Legal Compliance Section) from surface waters. Marine operators will hold waste and use shore based pump out stations. The principle: Noise pollution is minimized to reduce impact on the natural environment, provide guests the opportunity to hear the natural sounds, and for staff safety. Controlling noise from machinery, generators, and air conditioners by using sound insulation. Minimizing the time that motorized vehicles (including vessels) are left idling. Ensuring that noise pollution (human or mechanical) is appropriately located (or isolated) and meets local regulations and guidelines where applicable. Vehicles are filled to capacity whenever possible. Engines for outboard motors and small motorized vehicles are maintained according to manufacturer’s guidelines. Written purchasing policy in place requiring all purchased equipment to be as energy efficient as possible. Prohibiting smoking and fires of any kind in natural areas. Utilizing a carbon calculator to consistently monitor and track total carbon output (e.g., http://www.carbonfootprint.com/calculator1.html, or a similar method). Allocating resources to achieve carbon neutral status. The principle: The waste management hierarchy of REDUCE, REUSE and RECYCLE underpins operations of the tour product. Written purchasing policy to avoid over-packaged goods. Written purchasing policy to purchase materials in bulk and/or reusable containers. Sourcing locally produced, sustainably produced, and/or USDA Organic products. Implementing a recycling program and encouraging staff and guests to recycle. Keeping all protected natural areas and culturally significant areas visited clean and unspoiled including by collecting and removing all litter generated and litter encountered. Holding waste and using shore based pump out stations for marine operations. Efforts are made to keep food waste out of the landfill (i.e., donated to pig farmers). Buildings are designed to take into account climatic conditions (e.g., use of passive solar heating and/or open ventilation techniques to minimize energy use for heating, ventilation and air conditioning; insulated roofs and walls; low heat absorption siding and roofing materials). Natural light sources are optimized to minimize need for artificial light. Selection of appliances and lighting based on energy efficiency (e.g., Energy Star appliances, CFLs, etc.). Use automatic controls to ensure that air conditioners and other energy consuming appliances are used only when required. Air conditioners and other energy consuming appliances are managed to take account of peak loads. A system for monitoring energy consumption has been implemented. Use of motion detectors or timers to control lighting and other appropriately controlled devices. Use of renewable energy systems (e.g., PV, Wind, Solar). Tour vehicles achieve at least 150 passenger miles per gallon (i.e. Toyota Corolla: = 30mpg * 5 passengers = 150 passenger miles/gallon) and standard protocol is to have vehicles filled to capacity when applicable. All routes and schedules for tour and support vehicles are arranged to minimize distance traveled, avoid congestion and peak traffic periods. Staff has been trained in fuel-efficient driving practices (https://www.fueleconomy.gov/feg/driveHabits.jsp). The principle: Tour operator has demonstrated increased awareness and a shared responsibility for resources conservation and risk management within its field operations. Environmental Watch Plan to; 1) prevent introduction and spread of invasive species, e.g., vehicles and gear are inspected and cleaned before each tour to ensure that weeds (terrestrial or aquatic) or their seeds or propagules are not being spread; 2) monitor the displacement and /or destruction of natural features in the operating area; and 3) create a way to report violations to the proper authorities. Fire Prevention and Management Plan. The principle: Tour operators hire guides and staff based on their knowledge and qualifications in the field of sustainable tourism; provide accurate and appropriate training to ensure quality of ecotourism experience to guests; and encourage staff professional development. Ecological and cultural heritage of the area. Environmental management issues and practices of concern for the area. Sound environmental protection practices for the area. The principles of sustainable tourism and how they are achieved through participation in this program. Certified first aid and CPR practices (guides). Provide a training manual and/or supplementary resource information kits for staff which addresses the topics identified above. Guides/Instructors have and maintain current certifications through recognized industry programs in their specific area. 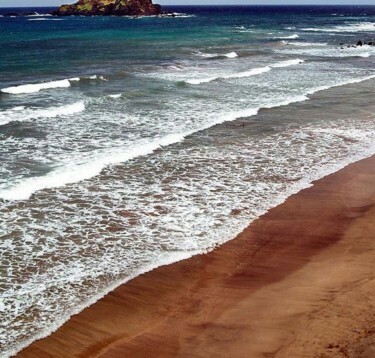 See Resource List online at (https://www.hawaiiecotourism.org/TourOperatorResources). 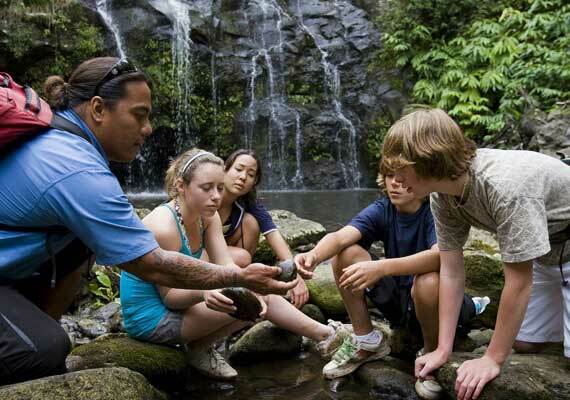 Provide funding to attend Hawaiian Language and Culture classes. understanding and appreciation of the ecological and cultural heritage of the place being visited. The principles outlined in Section 1: Environmental Management are demonstrated and shared with guests (i.e., environmentally sustainable practices to ensure that their activities do not degrade the environment are shared with guests). Providing guests with information about proper behavior and their responsibilities when visiting natural areas and encountering wildlife. Providing detailed information about each officially established protected natural area visited by its guests. Providing guests with information about environmental issues and initiatives in each of the regions in which it operates. Promoting a constructive interaction between guests and nature with tours and other related activities, while minimally disturbing wildlife. Viewing routes are rotated regularly to help protect wildlife. Wildlife is observed from an appropriate distance that doesn’t disturb wildlife and is avoided during sensitive times, such as mating, resting and nesting. Guests and employees are prevented from feeding wild animals. Food and trash are always securely stored to avoid attracting wild animals. Fragile terrain and areas critical to wildlife are avoided. Guides who lead off-trail tours are knowledgeable of which plants are most resistant to trampling and they educate their guests accordingly. Introduction or transportation of native species is avoided through inspections and cleanings of vehicles and gear prior to each trip. Removal, extraction and altercation of cultural or historic structures or artifacts as well as rocks, native plants, and other natural objects by guests and employees is not permitted. Regular feedback is provided to the protected area manager for all natural areas utilized as part of the company’s programs and / or services. 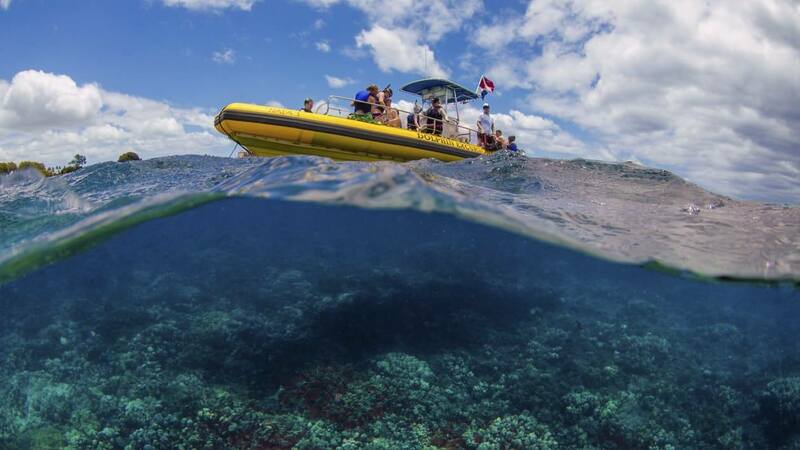 Integrate the Coral Reef Alliance’s West Hawaii Voluntary Standards for Marine Tourism into your daily practices (i.e., SCUBA & Snorkeling, Boating, and Wildlife Interactions). Guided SCUBA diving group size shall not exceed eight certified divers per divemaster. Marine recreation providers shall not sell fish food; promote or participate in fish feeding; or allow clients to fish feed. When SCUBA/SNUBA diving and snorkeling from shore, entry and exit routes shall be used that avoid walking on corals. Before entering water provide guests with a briefing about appropriate behavior, ecological information, and site characteristics (see Appendix E for sample Environmental Briefing). Have guest review and agree to an environmental pledge for SCUBA/SNUBA diving and snorkeling (see Appendix F for sample Pledge). Captains shall use day-use moorings whenever available or anchors shall be placed in sand or rubble channels large enough to assure the anchor does not contact coral reefs. When the captain, crew or clients observe trash or other floating debris at dockside, or in the ocean, these shall be collected whenever possible and properly disposed of at onshore facilities. At no time can anyone touch, pet, ride, feed, handle or in any other way harass a sea turtle, and turtles are observed from a respectful distance (one car length). Never attempt to swim with, pet, feed, handle or in any other way engage a monk seal, and monk seals on land are observed from at least 150ft away or behind posted signs. For Manta Ray viewing at night, do not use lights to attract manta rays away from the established circle to your group, over the coral, or angle lights across the circle. Marine mammals (i.e. whales, dolphins, etc.) shall not be fed, touched, or inhibited. Observation of marine mammals is limited to no more than one-half hour with each animal or pod (NOAA Guideline). Marine vessels observing marine mammals shall reduce their speed to no greater than the speed of the individuals in the group and avoid crossing paths. Provide education pertaining to environmental stewardship and recognition programs (i.e., Dolphin SMART, WHVS, HEA, etc.). Having each guest review and sign Molokini Shoal Marine Life Conservation District Use Key Rules and Guidelines from Department of Land and Natural Resources. Ensuring that cultural protocols, practices and sensitivities are respected. Advising guests on the appropriate behavior and kapu so as not to offend or break a kapu when visiting a culturally significant site or region. Providing detailed information about each officially established protected cultural site visited. Management has integrated Hawaiian cultural values into their business philosophy and practices. Staff participates in at least one Hawaiian cultural training class per year from an accredited source. The principle: Tourism products shall include at least one face-to-face or one static interpretation opportunity which allows visitors to learn more about the natural and cultural resources of the area being visited. Educational talks or lectures by trained guides or experts in their fields. Other interactive educational activities (e.g., music, cultural ritual, hula, role-plays, craft and theater activities). Pre-travel educational materials (e.g., printed, electronic or web-based, are provided). Printed materials including brochures, educational fact sheets, and interpretive leaflets are available. Reference material is held on location and is accessible to guests upon demand. Tour programs are supplemented with audio-visual presentations. Displays with interpretive signage and/or brochures. The principle: Content used for interpretive materials and activities is accurate according to credible reference and is relevant to both the site and audience. Sources of major interpretive narratives are verified through cross checking with (please detail below. Professional persons with knowledge of the specific area of interest (e.g., botanists, biologists, academics, anthropologists, environmental managers, cultural practitioners, etc.). Knowledgeable local people/cultural practitioners who have a high level of association with the site. Reference books scientific journals or the like. Scholarly film and television documentaries. The principle: The company continuously monitors its operations and analyzes and acts upon the feedback provided by guests and employees to ensure that tour products meet or exceed consumer expectations. Please submit a copy of the most recent evaluation management report. Guest book remarks or feedback on electronic media (i.e., Yelp, TripAdvisor, Facebook, etc.). Discussions with booking agents, retailers and wholesalers. Media reviews of the product. Follow-up, phone calls and correspondence with guests. 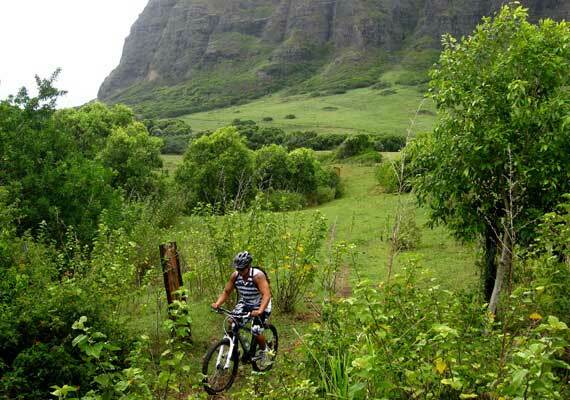 Guide(s) has been recognized by the Hawaii Ecotourism Association as the Ecotour Guide of the Year. Please provide name and year below. Please submit current evaluation questionnaire with application. See Appendix C for a sample evaluation questionnaire. Formal written peer review, and/or advisory group review. The principle: Through its marketing materials the operator provides as much information before the tour as possible to set appropriate guest expectations and allow for pre-departure learning. The natural and cultural resources of the area or site (e.g., rare species, geological formations, anthropological evidence, etc.). The formal status, if any, of the site (e.g., National Park, World Heritage Area, etc.). The range and style of interpretive services provided with qualifications of guides and experts. The number of people in a typical group. Frequently asked questions webpage detailing more exact expectations (i.e. our tours do interact with wildlife, this tour does not swim in waterfall pools, etc.). 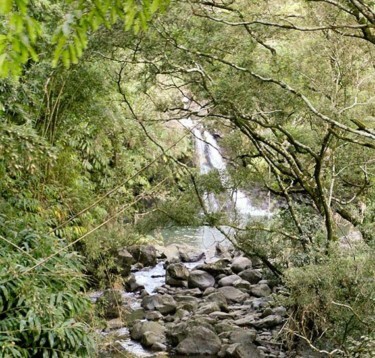 The principles of sustainable tourism and the benefits of certification to the environment and community (https://www.hawaiiecotourism.org/Review). The principle: The items in this area are considered important, however may not be practical for most tour operators and should not count against the overall scoring of an organization. Operate out of a LEED Certified building. Operate out of an EnergyStar Rated building. Recognized by the Hawaii Green Business Program. ISO 14000 family of standards. Recognized Dolphin SMART business or Proud Supporter. The principle: Operation has a written sustainability plan that which measures and tracks various measures of sustainability and guides its operations to demonstrate a commitment to HEA Sustainable Tourism principles. Have defined sections that address each minimum requirement and operating principle. Includes an ethics policy that demonstrates sound business practices by treating all guests, employees, the public, and partners with respect and fairness, and demonstrates a method for resolving disputes in a fair and expeditious manner. Is available upon request to the company’s employees, management and stakeholders. Tour operator must supply a copy of your Sustainability Plan for credit. See Appendix D for a sample Sustainability Plan. 1. Our business complies with all federal, state and city permits and laws. 2. All the measures identified on this checklist are currently implemented by our business. 3. All the information contained herein and information attached to this application is true and correct. I hereby certify that the statements and information in this application form are true and correct to the best of my knowledge and belief.